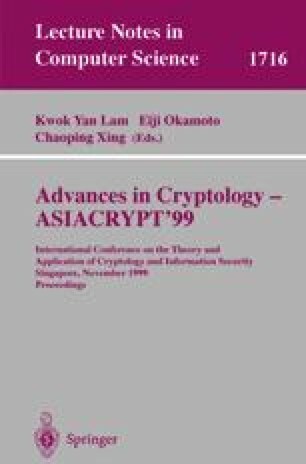 A periodical multi-secret threshold cryptosystem enables a sender to encrypt a message by using a cyclical sequence of keys which are shared by n parties and periodically updated. The same keys appear in the same order in each cycle, and thus any subset of t+1 parties can decrypt the message only in the periodical time-frames, while no subset of t corrupted parties can control the system (in particular, none can learn the decryption key). This scheme can be applied to a timed-release cryptosystem whose release time is determined when the number of share update phases equals the period of the sequence. The system is implemented by sharing a pseudo-random sequence generator function. It realizes n≥3t+1 robustness, and is therefore secure against an adversary who can corrupt at most one third of the parties.